Repressing. UK CD edition of the 1976 studio album from this quartet featuring former Monkees members Mickey Dolenz and Davy Jones. Almost immediately after the demise of The Monkees in 1970, there was industry clamor for a reunion. 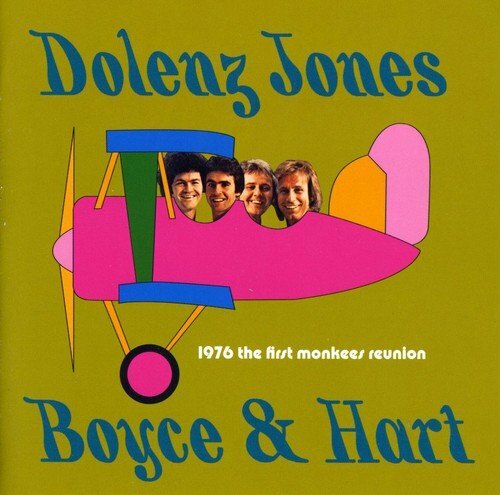 In 1975, a kind of pseudo-Monkees was created enlisting the services of Dolenz and Jones plus gifted songwriting team Tommy Boyce and Bobby Hart (perhaps best known for penning the first #1 hit for The Monkees, 'Last Train to Clarksville', but in fact responsible for a large chunk of The Monkees music). The album is dominated by Mickey Dolenz, whose writing and vocals are excellent. El. If you have any questions about this product by l, contact us by completing and submitting the form below. If you are looking for a specif part number, please include it with your message.